This video was the first thing I came across when testing the internet connection in my new apartment this past Saturday afternoon. The lights are an effect of Earth's magnetic field (acting like a shield) protecting against solar winds. There have been a bunch of massive solar storms bombarding our planet recently and this video displays the resultant auroral lights seen from the coast of Australia on January 16th and 22nd. 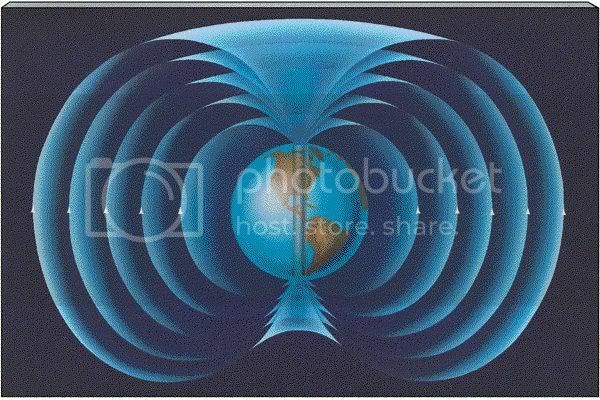 Our planet's magnetic field comes from its constantly churning iron core, extending out from the center into a large invisible magnetic skin. I've always thought it quite closely resembles the shape of an apple. 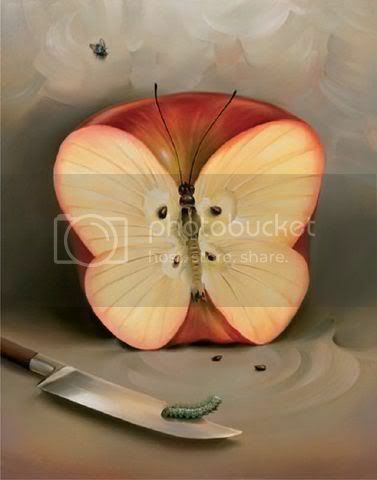 This shape resonates in my mind with a painting by Vladimir Kush that I've been thinking about a lot lately, depicting the close connection between an apple's shape and that of a butterfly.